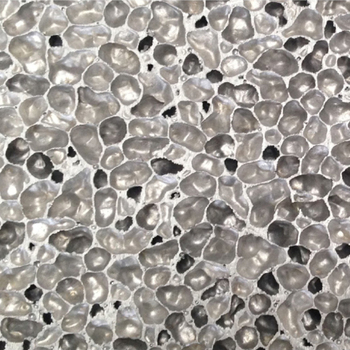 Aluminum Foam Panel(AFP)is a new concept metal material which is foamed in sponge shape after melting aluminum ingot with various chemical ingredients and which has many pore cell inner structures. 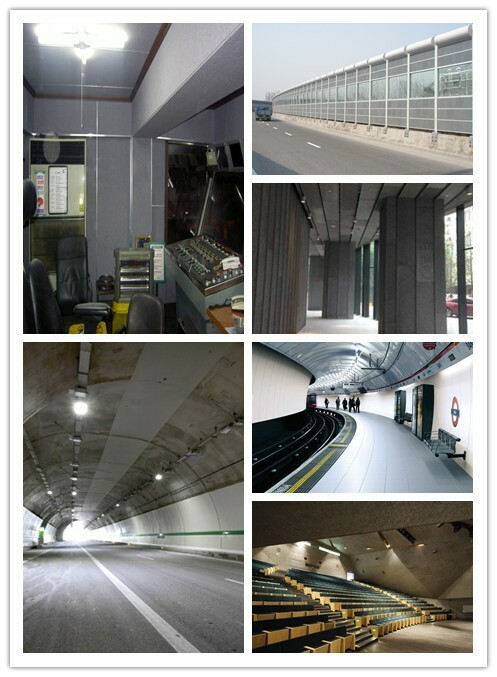 (2) Excellent sound shield performance( acoustic absorption). (4) Excellent electromagnetic wave shielding ability. (10) Can be composited with other materials(eg. marble, aluminum sheets, etc). Aluminum foam panel mainly used in interior or exterior wall,and floor and are wall at concert or KTV where electromagnetic and sound shielding.As soundproof,fireproof,ultralight,100%eco-friendly and recycle always used in automotive, aviation, railway and engine building industry. 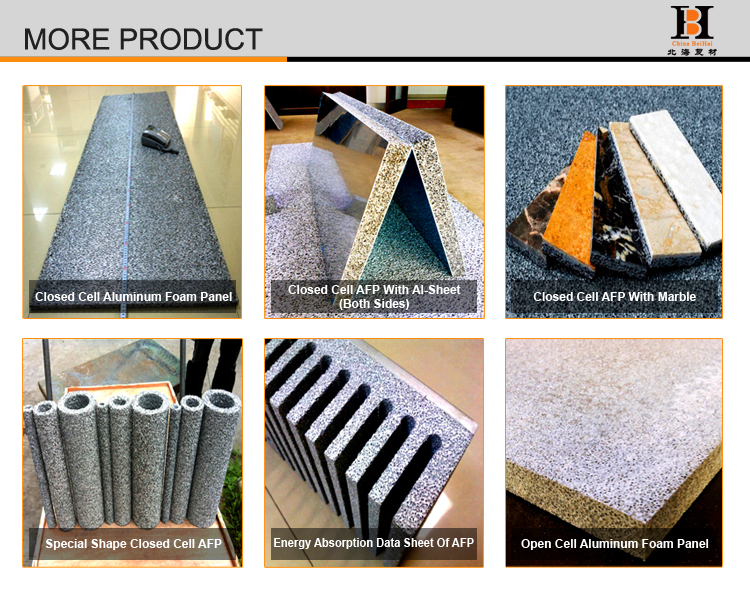 1,Q: What does closed cell aluminum foam feature? A: The pores inside is sealed and blocked from each other. It features high stiffness, low weight (can float in water), and high energy absorption. Besides, we also can punch holes on the closed-cell AFP. 2,Q: What are the applications of AFP(closed-cell) ? A: The above-mentioned features enable AFP (closed-cell) to qualify for specific requirements within automotive, aviation, railway and engine building industry. It is also qualifying for other high potential applications in the field of architecture and design where electromagnetic shielding, structural damping, flame resistance, and a decorative surface structure are required. 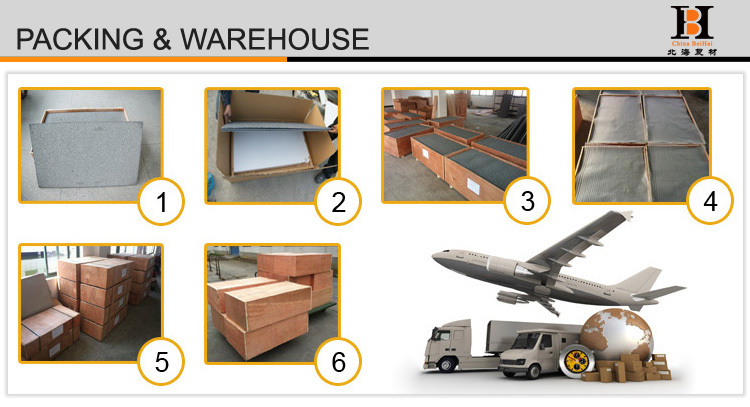 3,Q: Why choose China Beihai Aluminum Foam Panel? 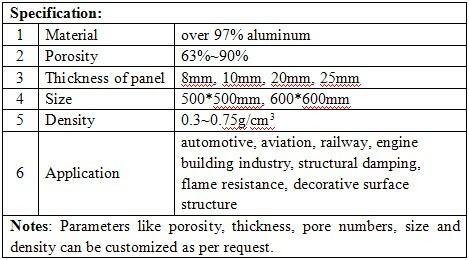 A: Our Aluminum foam panel is mainly used for sound insulation, sound proof, fireproof and waterproof. Besides, it features high stiffness, ultra-light, 100% eco-friendly and recyclable which makes our AFP superior to other similar products, such as honeycomb, etc. The above-mentioned advantages enable our AFP to qualify for some specific requirements such as railway, and engine building industry or some other architectures and designs exteriorly or interiorly. Our panels can be machined as easily as wood, using conventional techniques like sawing, drilling, etc. It also can be nailed,screwed, and bolted joint for ceiling, wall, and flooring. 4,Q: What is the thinnest and thickest thickness we can manufacture? A: 4mm and 30mm.Of course we can accept our customer's requirements. 5,Q: What do we use to joint each other? A: Cement or other usual construction materials, such as glue. 6,Q: What is the MOQ (minimum order quantity)? A: The minimum order is 500m2. 7,Q: I’d like some samples, how can I get some? A: Samples of our products are always available. Just write an email to us, our sales staff will get back to you and arrange for you ASAP. 8,Q: Are the samples free ? A: Generally speaking, small samples are free of charge and we also shall pay the transportation fees at first time. However, if you need big samples, all the fees shall be borne on you, including sample fees, transportation fees, etc. Well-trained and experienced staffs can answer your entire question fluently. Guarantee samples quality same as the bulk production. Positive attitude to custom design products.